Special Offer: Sign up today for 2013, and we will start promoting you now - for the rest of 2012 - for free. That is 13 months for the price of 12. All of this for only $200 a month. There are so many places you can advertise... but why spend tens of thousands of dollars for a little print ad competing with all the other ads/noise for a reader's attention in a publication that people just read and throw away? Advertise with us, and you get so much more! We are live, current, and promote you every day. On our website, we give you a dedicated webpage with images and links back to your own site. Then we direct all of our media tools to drive visitors to your page, to your own website, and to your physical location. We average 36,000-42,000 unique visitors a month. BONUS: We also run www.farolitowalk.com - and get an average of 50 unique visitors a day on this site. If you have any winter holiday specials coming up in December, please let us know now. ANOTHER BONUS: We manage the twitter account for @newmexicotrue which complements the State's own $6 million advertising campaign. Who are we? What are the benefits? 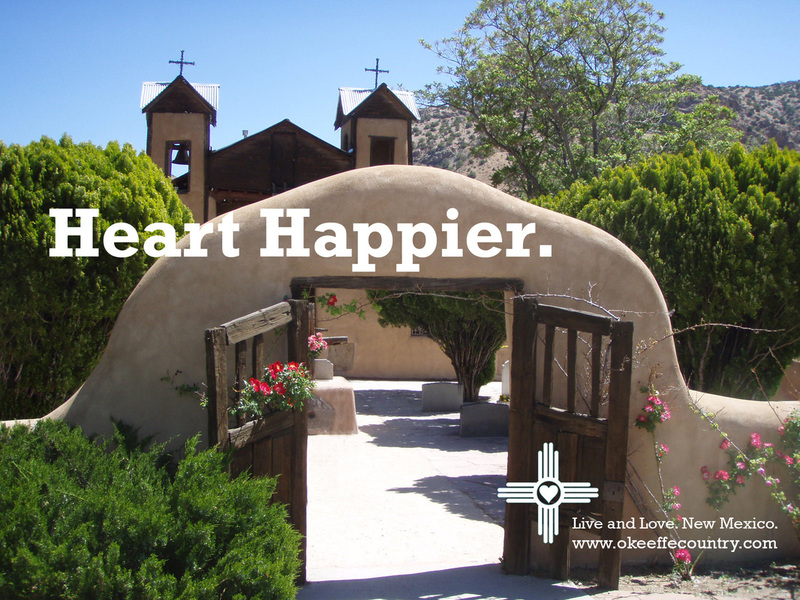 We live here, and love Santa Fe and Northern New Mexico. We have over 15 years of niche experience in marketing and business development, and 20 years of experience in promoting cultural attractions. We will be working full-time on your behalf to elevate not only the region's prominence for travelers, but your place on their itinerary. At the end of every month, we will post analytics about tracking to our site (hits, visitor usage, location, most visited pages). This will show you where visitors come from. We will provide numbers of fans and follows from Twitter, Pinterest, and Facebook. We will provide additional information on all of our promotional activities. What do we give back to the community? We sponsor several non-profit organizations, providing the services listed above, for free. 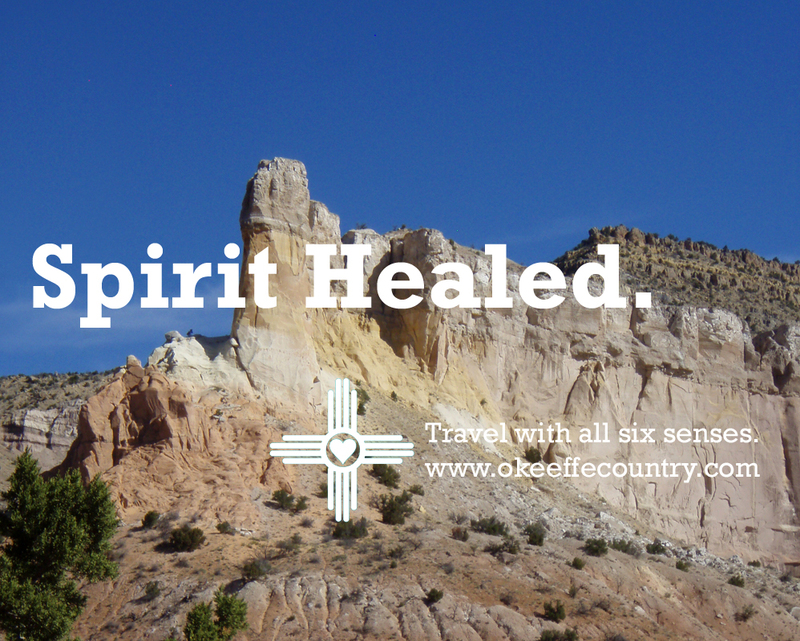 For 2013, we have chosen Ghost Ranch, Espanola Valley Animal Shelter, Girls Inc. (Santa Fe), Rancho de Las Golondrinas, and Bandelier National Monument. $250/ year, due at signing, for a link on our website. 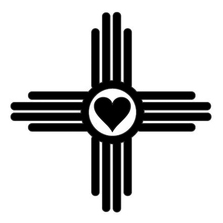 Total billing will include contract amount plus applicable Gross Receipts Tax (Santa Fe, NM) at 8.1875%. Plus, more for writing, distribution, promotion, and media buys. The benefits we offer are valued at over $75,000 per partner/client, but for a fraction of the cost. In addition, we can track everything we do, and give statistical performance back to you. What is our message campaign? 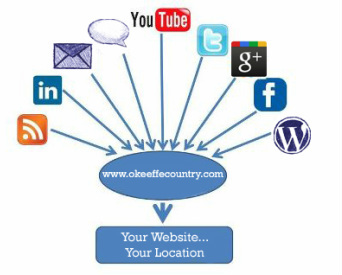 O’Keeffe Country’s logo is the zia with a heart in the center. 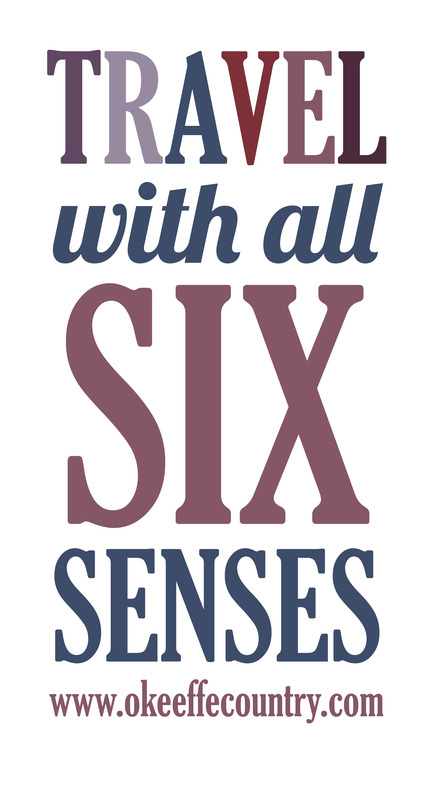 All ads will feature the logo, with the tag "Travel with all six senses.” over www.okeeffecountry.com. This draws people back to the O’Keeffe Country website and reinforces/familiarizes them with our themes of Breathe, Taste, Hear, Touch, See, and Feel. 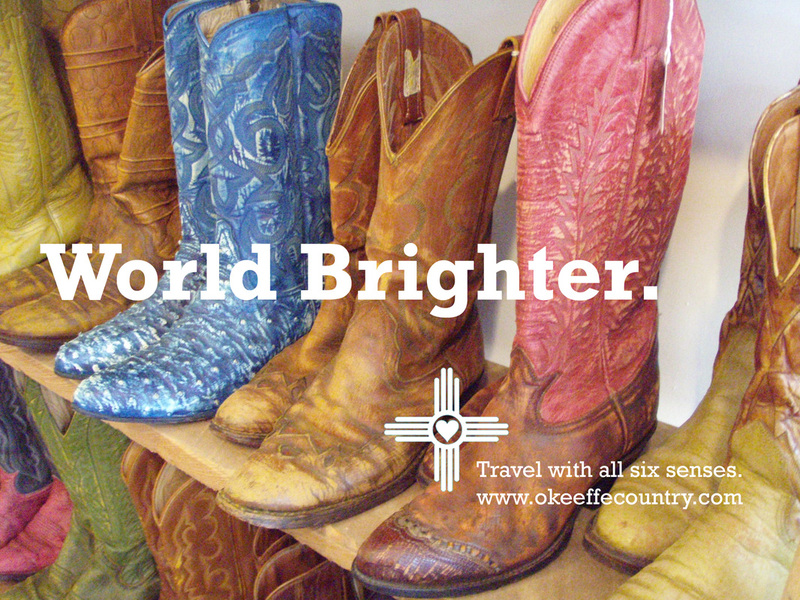 We are perfectly poised to tie Georgia O'Keeffe Country and our clients to the emotional need/fulfillment of travelers to Northern New Mexico. We are more than just hotels, restaurants, art galleries. We are more than the sum of our parts. This area is absolutely unique for its culture, environment, and true ability to feed the soul. We will capture this essence in our advertising and PR campaigns, for you.